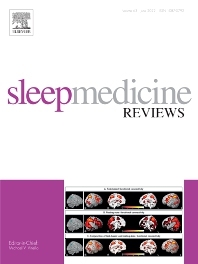 Sleep Medicine Reviews provides International coverage of sleep disorders, their aetiology, diagnosis, treatment and implications for related conditions at an individual and public health level. Articles review the clinical information published in peer-reviewed journals devoted to the many disciplines involved in sleep medicine, including: pulmonology, psychiatry, psychology, physiology, otolaryngology, paediatrics, geriatrics, cardiology, dentistry, nursing, neurology and general medicine. The journal publishes narrative reviews, systematic reviews and editorials covering area of controversy and debate, as well as areas of future research. We also provide many author benefits, such as free PDFs, a liberal copyright policy, special discounts on Elsevier publications and much more. Please click here for more information on ourauthor services.